Wondering what’s going on in Jenkintown? Glad you asked. Thanks to six seasons of “The Goldbergs”, Bradley Cooper, and a glowing piece on the National Geographic website, Jenkintown often finds itself in the national spotlight. On paper, it sure looks like the type of town fit for a George Bailey and his savings and loan. Except that the deeper you dig, the more it looks like Pottersville. Four of our major officials are being sued by a resident for civil rights violations for a bogus zoning violation because she had the audacity to run for mayor in defiance of the local Democratic political machine. And what led us to this lawsuit? The Borough’s bogus zoning citation getting smacked down by the ZHB by a unanimous vote after nearly ten hours of testimony that starkly revealed not only George Locke’s incompetence, but Council leadership’s intolerance for dissent as well. Last we checked, the borough has spent more than $20,000 in defending its citation and prosecuting this resident. That number should increase almost exponentially by the end of next year. Our Borough taxes are going up 5% this year. Despite this, Jenkintown Borough refuses to sell the property it bought two years ago for a quarter million dollars to build a park no one asked for and that will cost nearly a million dollars to complete. School district taxes went up almost 4% to help pay off a debt load to buy things the district never really needed and for pensions enjoyed by teachers and staff no one can accuse of being underpaid. This comes after nearly five years of 3-4% annual hikes, so that Jenkintown now spends about $25,000 per pupil. Recently it announced plans to build a “security vestibule” to protect our kids from a shooter who won’t arrive for the next 10,000 years. Our commercial district, long in the doldrums since on-street parking was removed to make our main street a four lane highway continues to molder, while surrounding towns have all fully revived since the Great Recession, becoming attractive destinations. In November, we received the news that one of our major businesses, Glanzmann Subaru will leave town by the end of next year, leaving a huge gap in not only our commercial real estate market, but in our tax rolls as well. We can look forward to another significant tax hike next year as well. Our borough manager who, thanks to his self-afflicted physical infirmities, can’t be bothered to get out of his Toyota Sequoia to perform actual inspections of properties he’s cited for violations received a 23% pay raise three years ago plus more since then. This year he stated under oath that putting a lawn mower in your pickup probably means you’re running a business. Administrators of the Jenkintown Community Page on Facebook will turn off commenting on any posts that spread bad news because of the potential to scare away potential residents. After more than thirty years of hand-wringing over what to do about residents parking on the Walnut Street sidewalks, we simply explained how the ongoing and documented non-enforcement of its own code exposed us to an ADA-related lawsuit. In a meeting, George Locke expressed his skepticism. And prominent citizens who can afford to are getting out, usually right after their last kid graduates from school. 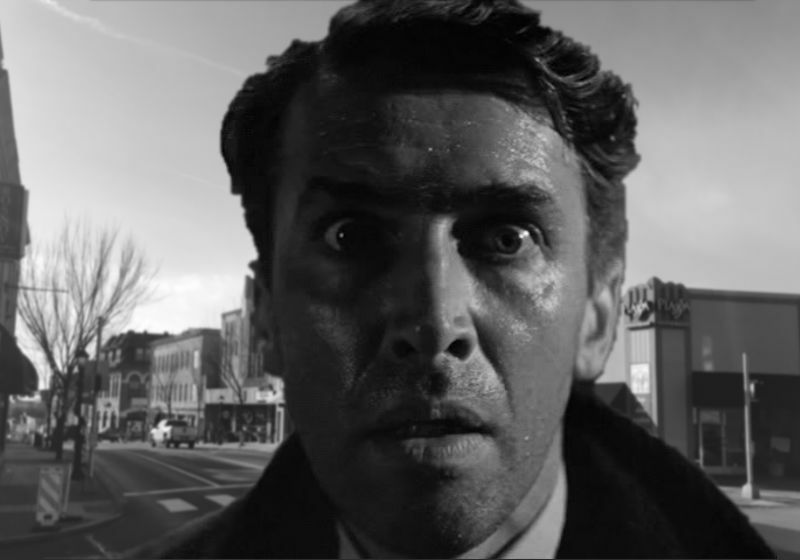 Bedford Falls or Pottersville? You decide.